"Kohli has now not top scored for India for six matches. Games number seven and eight are big runners for a batsman who statistically cops 36% of the time"
At what stage do you lose faith? In India's last two Twenty20 matches we have backed Virat Kohli to top score. Twice he has let us down. Against Ireland, we correctly surmised that he would open the batting because he was in dire need of crease time ahead of the contest with England. He made nine. Against England at Old Trafford we stuck with our man. He batted at No 4 and made 20 not out. It was not enough. On both occasion we backed Kohli for one simple reason: his odds were bigger than they should have been. That is to say they were out kilter with the number of times he actually 'wins' in the top India runscorer market. It was particularly frustrating because both times we had talked up KL Rahul's chances. And it was Rahul who twice took honours. Unfortunately in Ireland his price was not wrong. It was for the England contest but the rick was bigger on Kohli's numbers. The sage would argue that is a necessity that we go in again on Kohli. For two reasons. He has now not top scored for India for six matches. Games number seven and eight are big runners for a batsman who statistically cops 36%of the time. That figure leads us perfectly to reason No 2. He should be around the 7/4 mark. But Betfair Sportsbook are offering 10/3. That is a pretty sizeable edge in our favour. Unfortunately Rahul is again underrated. He is 3/1 when he should be 12/5. We couldn't put you off backing him, then, considering he will open the batting and his form is electric. This column would be within its rights to bet both but we like to nail our colours to the mast. To that end we also note the price about Kohli for man of the match. He is 7/1 when he should be 6/1. 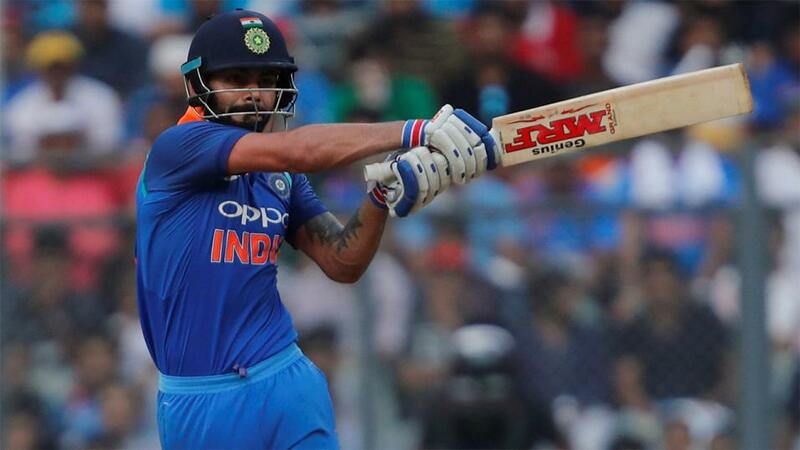 Only Shahid Afridi (11 awards in 99 matches) has more gongs than Kohli (ten in 60). Here's another wrong price to get stuck into. Kuldeep Yadav is 5/2 to be top India bowler with Betfair Sportsbook. We should point out that it is deliberately wrong. Sportsbook have very kindly inflated his odds from 23/10 by means of a special. From a pure numbers point of view Kuldeep should be 6/5. It screams value and we have to get involved. It also makes sense from a form and pitch perspective. Kuldeep razed England with a five-wicket haul in Manchester, his brand of legspin typically confounding the naive English. The wicket in Cardiff takes spin, too, and it would be no surprise to see Eoin Morgan complaining that it was like playing an away game.